ASCO Numatics are world leading manufacturers of solenoid valves designed to control the flow of air, gas, water, oil or steam. T&D distribute the most extensive range of ASCO valves including general service and hazardous area solenoid valves (2-way, 3-way and 4-way) to handle flow control of liquids, gases and oil in both onshore and offshore installations. ASCO solenoid valves are electronic devices used to provide precise flow control and are operated by opening and closing an orifice in the valve body that permits or prevents flow through the valve. The orifice is operated through the use of a plunger that is raised or lowered within a sleeve tube by energizing the solenoid coil. The solenoid comprises a coil, core, core tube and enclosure. Key valve selection factors include voltage, valve type, flow capacity, pressure rating, wattage and connection type. ASCO offers the worlds largest selection of 2-way, 3-way and 4-way solenoid valves, designed to handle the most demanding fluid control applications. 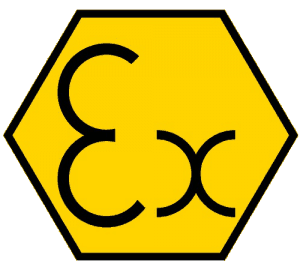 ASCO 327 solenoid valves are ATEX and IECEx certified for hazardous areas in the oil, gas and petrochemical industries. ASCO valve product range also includes cylinders, angle body piston valves, regulators, valve manifolds, filters, lubricators and valve accessories. T&D Sales Team aim to respond to all UK and international enquiries with a competitive ASCO quotation within 24 hours. T&D are distributors of the full range of ASCO hazardous area solenoid valves including explosion proof valve operators for installation in numerous Class/Division and Zone classified locations according to ATEX and NEC – for valve selection advice to conform to NEC (Class/Division) standard and IEC (Zone), NEC (Class/Zone) and ATEX (Zone 1 & Zone 2) please contact T&D. The range of ASCO solenoid valves offers the most reliable and efficient fluid control with fluid automation products designed for many different industries including Ex d flameproof requirements. The full product line includes over 50,000 solenoid valves and an extensive range of air preparation and control equipment. These products range from two position on/off valves to entire flow control solutions designed to meet requirements of thousands of customers. 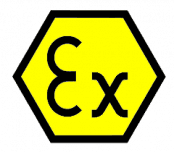 ASCO manufacture ATEX valves certified for use in Zone 1 and Zone 2 hazardous areas. Thousands of solenoid valves with global approvals including ATEX, IECEx, INMETRO, NEPSI, and GOST for hazardous areas and explosive atmospheres. Functional Safety standards set the process and hazardous area industries guidelines for safe and reliable operation. Certified SIL 3 spool valves and pilot valves are IEC 61508 Parts 1 and 2 rated with SIL 3 capability for domestic and international markets (ATEX). 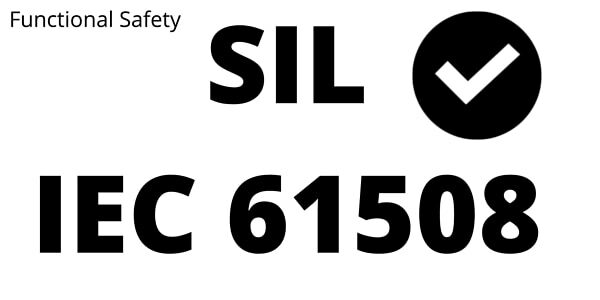 IEC 61511 – Safety Instrumented Systems For The Process Industry. Systems comprised of electrical and/or electronic elements have been used for many years to perform safety functions. ASCO RedHat Solenoid Valves – the worlds largest selection of 2-way, 3-way and 4-way valves for fuel, oil and gas. ASCO RedHat solenoid valves handle the most demanding fluid control applications including fuel, gas and oil. Specialist solenoid valves are available to control compressed natural gas for automotive and rail transportation applications. 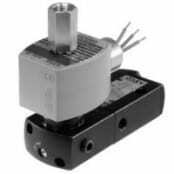 ASCO 2-Way Solenoid Valves have one inlet and one outlet and are used to permit and shut off fluid flow. The two types of operations are “Normally Closed” and “Normally Open”. ASCO 3-Way Solenoid Valves have three pipe connections and two orifices. When one orifice is open, the other is closed and vice versa. 3-way solenoid valves are commonly used to alternately apply pressure to and exhaust pressure from a valve actuator or a single acting cylinder. 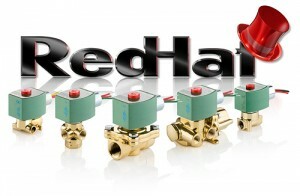 RedHat valves can be normally closed, normally open or universal. ASCO 327 valves are certified to IEC 61508 Functional Safety data with SIL-3 capability (Exida approval). 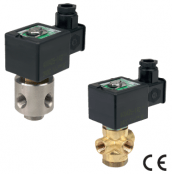 ASCO 327 valves feature a compact tamperproof and manual reset function which means that the valve must be energized as well as manually operated before it stays in the “latched” position. The No Voltage Release (NVR) function will make sure that the solenoid valve trips when de-energized. The range of 327 valves are recommended for pilot applications with basic flow, wide pressure ranges and no minimum operating pressure in hazardous areas. 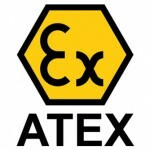 ATEX Directive compliance is mandatory for solenoid valves used in hazardous areas with potentially explosive gas or dust atmospheres. 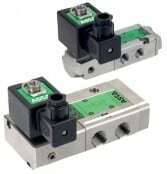 ASCO 327 Series Solenoid Valves – a universal, direct acting solenoid valve available in multiple variations of materials, power, flow and certification including ATEX, IECEx, CU TR and INMETRO hazardous area approvals. Corrosion resistant and NACE compliant valve to suit a NACE atmosphere (including solenoid housing internals). 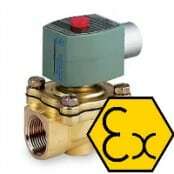 ASCO 551 solenoid valves are spool type explosion proof valves for installation in Zone 1 (21) and Zone 2 (22) hazardous areas according to ATEX Directive. Solenoid valves with ATEX and IECEx certification have threaded port connections and NAMUR interface. Solenoid valves are of non breathing design. The pilot exhaust is collected in the main valve exhaust for dust and water protection. Valve actuator and pilot valve are isolated from the main environment. ASCO 362 and 562 series valves are available in brass and 316L stainless steel constructions with pneumatic and solenoid models for corrosion resistance in harsh, hazardous and offshore environments. The new valves utilize ASCO’s proven solenoid technology, which has led the industry in reliability for decades with the highest-quality, longest lifecycles, and greatest product availability in the world. ASCO 362 Series is a three-way valve made for single-acting process valve applications. The ASCO 562 Series is a four-way spool valve designed for double-acting process valves – valves are available in 1/4″, 3/8″, 1/2″, 3/4″ and 1″ sizes. ASCO Valves: Highest Flow Rates, Low Power Consumption. ASCO research and manufacture many different valves for industries globally and are committed to supplying reliable flow control, cylinders and actuation products to industries that deliver the highest quality and most efficient products. Typical industries using ASCO solenoid valves include hazardous areas, refining, automotive, kitchen, heating, waste-water, bottling, manufacturing, dust collection, food & beverage and wine making. The range of solenoid valves available covers all installations and when combined with the expertise available from ASCO and T&D, these solutions provide lower cost of ownership, greater asset availability and improved productivity. 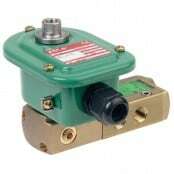 Solenoid valves are often used to replace a manual valve or where a remote control device is not desirable. The operating limits of ASCO solenoid valves depends upon the individual valve however they can range from 115 psi up to 575 psi. Pilot operated valves have a minimum operating pressure requirement of 25-45 psi depending on the valve. Some of the pilot operated solenoid valves can be externally piloted if the minimum pressure requirements cannot be met. Within each industry sector using solenoid valves, there are thousands of different applications – within the wastewater industry, solenoid valves are used in applications including air flow, filters, water seals, reservoir pumps and chemicals. ASCO manufacture the industry’s most extensive selection of shut-off valves designed to control the flow of fuel gas, liquid propane and all grades of fuel oil used in combustion applications – these products include modular gas shut-off valves, solenoid and motorized valves. A comprehensive portfolio of 3-way and 4-way pilot valves to drive actuators and process valves in the most demanding applications. These ultra-reliable products include low-power constructions, corrosion resistant 316 stainless steel materials, low temperature ratings and SIL ratings for safety systems with global approvals. Solenoid Valves For Onshore & Offshore Hazardous (Classified) Locations. Flow Control For Air, Gas, Water, Oil & Steam In Classified Hazardous Area Locations and Non-Hazardous Areas. The Express Same Day service offers quick delivery on a variety of valves and cylinders – call T&D with your purchase requirements. Via FASTSHIP and SAMEDAY Express Delivery Service we are able to deliver 2000+ valves from stock direct to you. 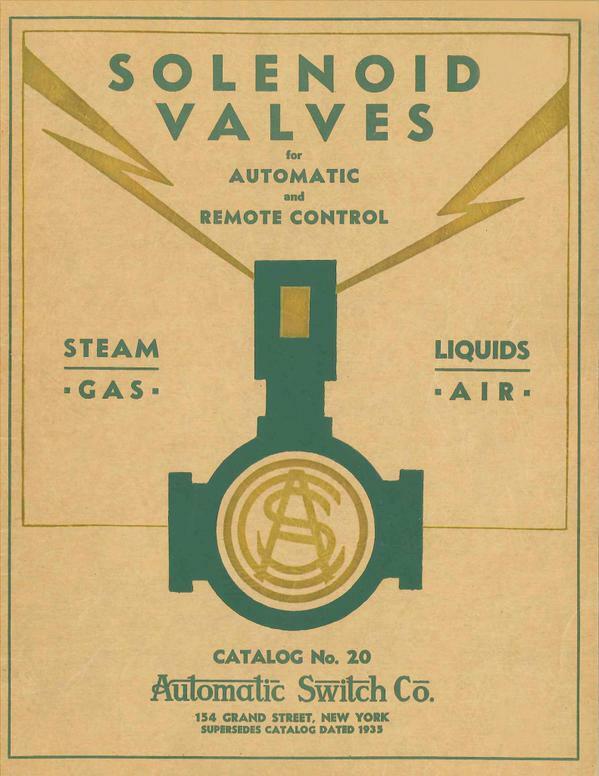 Established in 1888 manufacturing elevator, compressor and generator controls, ASCO became the first company to manufacturer an electronically operated control device known as a solenoid valve. 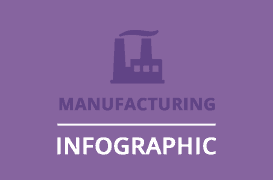 ASCO has continued its development and today manufactures products that are designed to control the flow of air, gas, water, oil and steam – every kind of liquid or gaseous substance. ASCO Numatics manufacture over 50,000 solenoid valves – the worldwide leader in the manufacture of quality fluid control products such as RedHat solenoid valves, hazardous area valves, miniature valves and fuel gas and oil products with ATEX and IECEx certification for hazardous area industries. 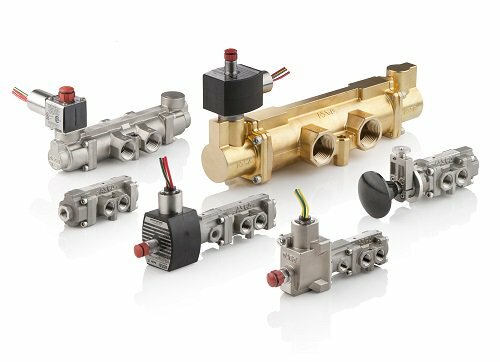 Their heritage of innovation has resulted in an extensive line of flow control products that range from two position on/off valves to entire flow control solutions. A fully assembled and tested system for controlling pneumatic actuators – contact T&D for further information. ASCO manufacture the world’s most reliable fluid control solutions — delivered and serviced with exceptional speed and customer support.